The faster that your roots can appear, the sooner that they can start making use of your nutrient solution. And the sooner you can make this happen, the more likely it is that they will survive and grow into healthy plants. Supplement Extra Carbohydrates – You probably already know that your plant already provides its own source of carbohydrates via photosynthesis. However, if you really want your plants to be faster rooting, you should consider using a hydroponics supplement that provides even more carbohydrates to your plant. This is because carbohydrates are the prime energy sources for stems, and the more energy that you can pack into a single stem. Of course you should also consider using your carbohydrate supplements for the flowering or fruiting stage of your plants development. An extra shot of high quality carbohydrates at this stage can help flowers smell sweet and produce taste a whole lot better. B Vitamin Supplements – One of the reasons why it can be so difficult to clone is because the cloning process is very shocking to both the mother plant and the stem. This degree of stress can just make it hard to perform regular functions, which in turn makes it extremely difficult to form roots. In order to allay the stress caused by cloning, many hydroponic growers use B vitamin supplements. These supplements can help your stems deal wit the shock of being cut off from the mother plant, as well as stimulate faster rooting. 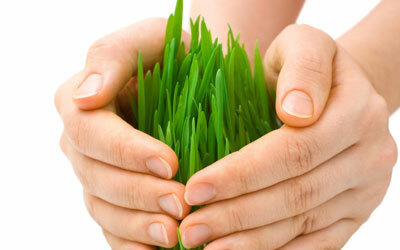 Humates – Humates are ways to make certain that all of your nutrients are as available as possible to your plants. The more that your young stems can soak up the nutrients in the nutrient solution, the more likely it is that they will be able to root faster. 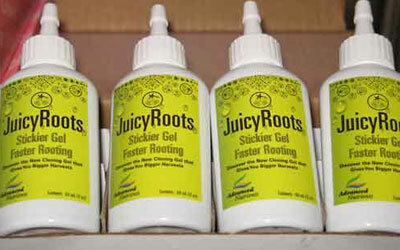 This faster rooting will give way to even faster rooting as roots start to take hold in the growing medium. 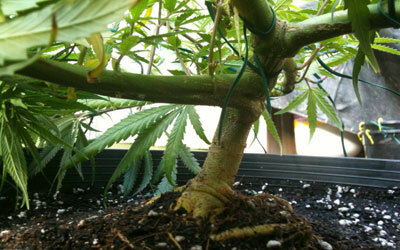 A Good Stem – You should not be indiscriminate when cutting off stems to use on your mother plant. Just cutting every stem you see without paying attention to quality will probably just lead to a grow tray full of dead, brown sticks. The ideal stem should be a healthy dark green with a few good leaves. The leaves will help your plant produce a few extra carbohydrates as it starts to take root, which will only lead to faster rooting. You should also make certain to use a very sharp razor blade that has been disinfected. A dull blade can easily cause unnecessary damage to your stem, which will inhibit faster rooting. And you obviously do not want to introduce any disease to your stem before it even gets a chance to root. This is a good point. I’ve seen a lot of failed cloning attempts that could easily be traced back to poor mother plant health. The stronger your mothers are the better shape each and every cutting you take will start off in. Proper nutrition for the mother plants is crucial.